This year’s Great St Leonards Egg Hunt had a record turnout of 122 children who spent an enjoyable spring morning following clues around the school grounds in order to secure a chocolate prize at the end. The ever-popular Retreat Café, run by a team of Parents Association volunteers, was in full swing in St Katharines Hall, with refreshments including hotdogs, home baking and homemade pizza, cooked in Ollerenshaw’s new outdoor pizza oven, which was generously funded by the PA.
Pizzas were cooked to order and delivered by our two dedicated ‘delivery boys’, Will (Year 7) and Struan (Year 8), who spent the three hours of the event running between the boarding house and the Junior School to ensure everyone’s food arrived hot from the oven. 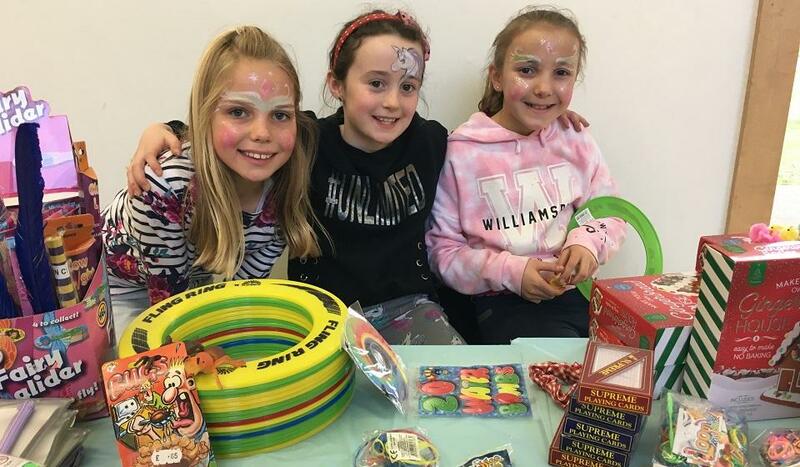 Face painting in the hall was a huge hit, and there were some very creative entries for both the Bonnet Decorating Competition and the Decorated Egg Competition. Khan (Year 3) was the winner with his dinosaur-themed bonnet, complete with jungle foliage, and Hari (Year 4) and Shreyas (Year 6) were chosen by Miss Moran as joint winners for their football-inspired egg display, which included clues to find hidden characters. Runner up was Serena, Rory and Eliza’s younger sister, who had entered some beautiful jewelled eggs. The Easter Basket for the raffle was generously donated by one of our parents, Mrs Gautreau, and was won by Michelle (Year 1), who was presented with her prize at Celebration Assembly. Thank you to everyone who came along for a fun day out, and to the PA for all their hard work in organising and running the event!